While centenarians make up a small share of the world's older population, their proportion is growing. In 1990 there were 2.9 centenarians for every 10,000 adults ages 65 and older around the world. That share grew to 7.4 by 2015 and is projected to rise to 23.6 by 2050. One national study finds that the proportion of "alternative work arrangements" like freelancing and self-employment is on the rise. But by one measurement, rural America's gig economy declined over a similar period. What's going on? Because of digital advancements, the "traditional" gig economy of contract workers, temps, freelancers, and other self-employed workers has converged with the sharing economy. Water storage, which helps buffer society against seasonal and annual fluctuations in precipitation, remains a critical and controversial question, especially as countries seek to adapt to climate change by adding new reservoirs. Most of the prime spots have already been dammed, but new reservoirs are still being proposed. 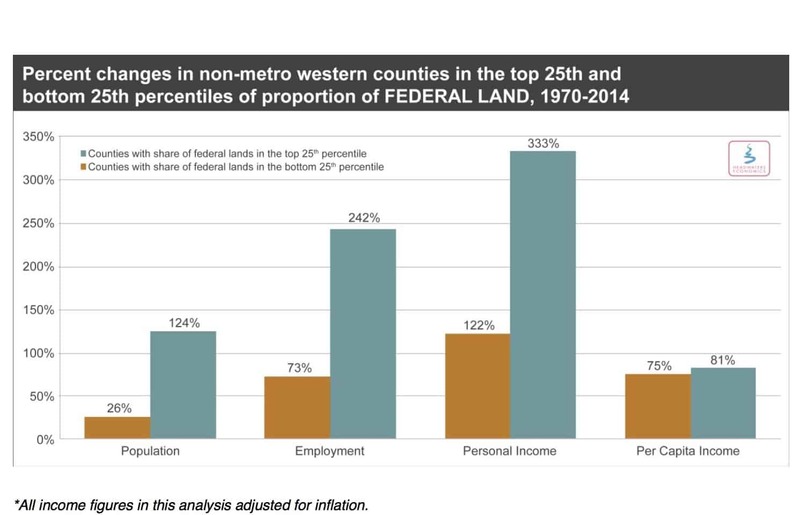 As the West debates federal lands policy, a new report questions the assertion that federal lands hurt local economies. Instead, Headwaters Economics finds that more federal land in a county correlates with larger populations and more jobs. The global coal trade doubled in the decade to 2012 as a coal-fueled boom took hold in Asia. Now, the coal trade seems to have stalled, or even gone into reverse. This change of fortune has devastated the coal mining industry, with Peabody - he world's largest private coal-mining company - the latest of 50 US firms to file for bankruptcy. It could also be a turning point for the climate, with the continued burning of coal the biggest difference between business-as-usual emissions and avoiding dangerous climate change. Carbon Brief has produced a series of maps and interactive charts to show how the global coal trade is changing. The Paris Agreement Tracker enables people to monitor countries' progress toward ratifying the Paris Agreement, and allows users to create their own combinations for bringing it into force. Global military spending rose in 2015 to nearly $1.7 trillion, the first increase since 2011, driven by Middle East conflicts inlcuding the battle against the Islamic State, the Saudi-led war in Yemen, and fears about Iran. Congratulations to MACDEP members Jennifer Anderson and Katie Weaver for receiving 2016 NACDEP Awards; Jennifer earned honors in Excellence in Community Development - Western Region for her work with "The Community Foundation of Northern Rosebud County." Katie and her team earned honors in Excellence in Teamwork - Western Region for her work with "Leadership 49" Well-deserved recognition! The Community Development Extension Initiative takes place May 23-25 in Jackson, WY. The Institute offers basic and advanced skill-building sessions, plus best practices sessions on community development programming. The complete schedule is available here and the deadline for registration is May 6th. Registration for the 2016 Joint International Conference: Community Development Society & the International Association for Community Development , July 23-27, Twin Cities, MN USA is now open. The conference will feature a Plenary Panel on the UN's Sustainable Development Goals. Also, updated information has been posted on the 2016 ANREP/NACDEP Conference website. I missed the April MACDEP E-news because of my involvement with the International Association for Community Development Practice Exchange in India and Nepal; our next publication of the IACD Practice Insightswill have stories from many of the 18 participants on the people and places we visited in South Asia. Stay tuned for more info.